It’s a great week for movies! Jumanji, Pitch Perfect 3, and a big screen return of the Force! Time to catch up on some blockbuster hits! What better way to start off the work week than by looking forward to these blockbuster movies which are opens in cinemas nationwide RIGHT NOW! That’s right, folks! 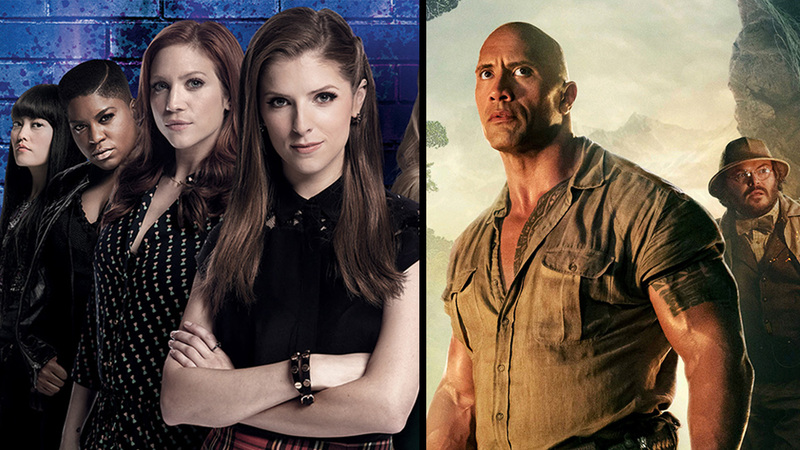 Starting yesterday, you can now book those sweet tickets stat as Jumanji and Pitch Perfect 3 hits the big screens to brighten up your week, plus a return to the big screen from our favorite rebels! This action adventure tells of four unlikely friends who are sucked into the world of Jumanji. When they discover an old video game console with a game they’ve never heard of, they decide to play and are immediately thrust into the game’s jungle setting, in the bodies of their avatars, played by Dwayne Johnson, Jack Black, Kevin Hart, and Karen Gillan. What they discover is that you don’t just play Jumanji – Jumanji plays you. They’ll have to go on the most dangerous adventure of their lives, or they’ll be stuck in Jumanji forever. You can check out our review of Jumanji: Welcome to the Jungle right here! In Pitch Perfect 3, after the highs of winning the World Championships, the Bellas find themselves split apart and discovering there aren’t job prospects for making music with your mouth. But when they get the chance to reunite for an overseas USO tour, this group of awesome nerds will come together to make some music, and some questionable decisions, one last time. Get ready to sing your hearts out, acapella style, as the Barden Bellas take the stage for the last time! In Lucasfilm’s Star Wars: The Last Jedi, the Skywalker Saga continues as the heroes of “The Force Awakens” join the galactic legends in an epic adventure that unlocks age-old mysteries of the Force and shocking revelations of the past. Arguably the best (or worst, depending on who you listen to) Star Wars film to date, The Last Jedi is sure to satisfy your Force cravings! So get your movie fix once again and be sure to catch these awesome flicks on the silver screen! Previous articlePhp 7595 worth of freebies for an almost 12k phone?!!! Sign me up! All hail the new Battery King! Next articlePower up your Honkai Impact 3 campaign with the fox-eared samurai Yae Sakura!